Darryl Hall is a bassist with big ears; he hears where the music is going and provides the appropriate touch and emotion to take it there. That combined with his versatility and creativity has allowed him to play many styles of music –jazz, R’n’B, Brasilian, Latin, gospel, etc.- extremely well. While his career has only been 15 years in the making, he has managed to travel all over the world many times with the most renowned jazz artists of today, including Geri Allen, Regina Carter, Ravi Coltrane, Mulgrew Miller. Born November 10, 1963, Darryl Hall comes from Philadelphia, one of the major urban centers for the development of Afro-American music. He was inspired in his teens to play electric bass by the late 70s funk generation –Larry Graham, Louis Johnson and Anthony Jackson; he then started playing locally. After graduating from Temple University with a marketing degree, he worked a day job while studying the double bass at night. 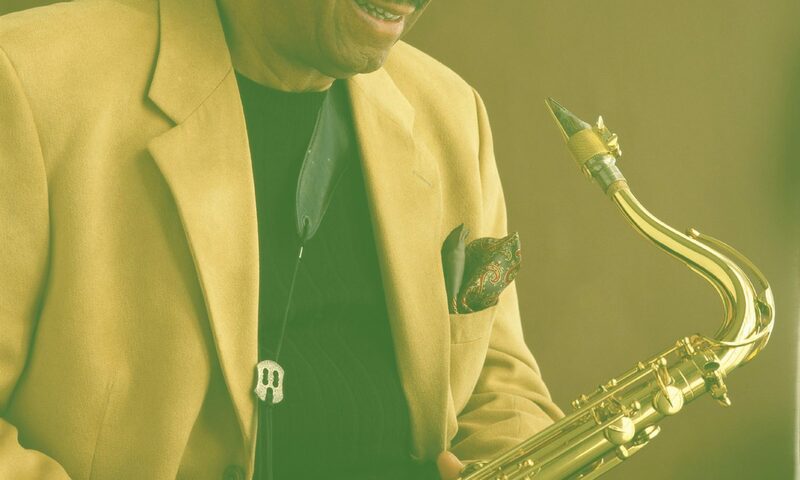 At this time he was giging around Philadelphia with artists like Rachelle Ferrell and Joey DeFrancesco. He was mostly self-taught but studied privately with local favorites Tyrone Brown (b), Tony Williams (as) and Gerald Price (p). In 1992, Darryl finally quit his day job to pursue his passion for music full time, which led him to move to the music Mecca, New York City. His first major accolade was the first prize in the prestigious Thelonious Monk Institute competition for bass in 1995, the jury of which was composed of Ron Carter, Charlie Haden, Percy Heath and Chris McBride. This award provided an inroad to the jazz community and led Darryl to play with Jimmy Heath, Donald Byrd, Antonio Hart, etc. Upon a first listening to Darryl’s playing, one can immediately identify the essence of how bass should function: groove, pulse, swing and tone. He uses great discretion in helping make the music breath with vitality. That’s why he has been requested by Hank Jones, Tom Harrell, James Williams, Howard Johnson, Teodross Avery (s), Robert Glasper (p) among many others. Even bass phenomenon Christian McBride called upon Darryl to perform with his big band! Lately, he’s been the regular bassist for pianist Geri Allen. He was also a regular with Blue Note recording vibraphonist Stefon Harris and his BlackOut project. Since moving to Paris in 2004, he’s worked with Diane Reeves, Tom Harrell, Kirk Lightsey, and Benny Golson. He also works with renowned French artists including Laurent De Wilde and Christian Escoude. Darryl released Subtle Touch in 2000, a debut album of mostly originals which received critical acclaim. It represented a diversion from some of the styles of music he was performing at the time. 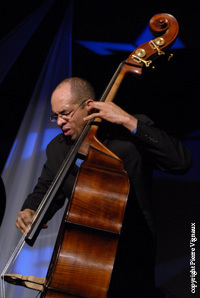 The unique format of the cd exposed the bass in solo, duet, trio, quartet and quintet settings, alongside longtime friend Jim Ridl on the piano, Megumi Okura on violin, Sam Newsome on soprano sax and Steve Hass on drums.